The messages given to the stakeholders in the crisis are important for the impact of the crisis on the stakeholders and the crisis management’s success. When the studies of crisis communication are examined, it is seen that the theories involving message strategies are more prominent. For this reason, it is important to choose the right messages given to stakeholder. In this study, the data was gathered from 33 specialists by asking them to evaluate the messages that were given by the authorities to the stakeholders in the Ermenek coal mine crisis (October 28th, 2014) in which the loss of life and injuries were experienced. The research data were analyzed by content analysis method. According to findings; it has been determined that the important points that should be taken into consideration in the formation of messages for the stakeholders are information nature, the emotional state of the affected people, the values of the society, the acceptance, indemnification and responsibility. ﻿Krizde paydaşlara verilen mesajlar, krizin paydaşlar üzerindeki etkisi ve dolayısıyla da kriz yönetiminin başarısı açısından önemlidir. Kriz iletişimi çalışmaları incelendiğinde, mesaj stratejilerini içeren teorilerin daha çok ön plana çıktığı görülmektedir. Bu nedenle, paydaşlara yönelik mesaj stratejilerinin doğru seçilmesi önemlidir. Kamuoyunu bilgilendirmeye yönelik mesajların incelendiği bu çalışmada veriler, can kaybı ve yaralanmaların yaşandığı Ermenek kömür madeni krizine (28 Ekim 2014) yönelik 33 uzmanla yapılan görüşmelerle toplanmıştır. Araştırma verileri içerik analizi yöntemiyle incelenmiştir. Elde edilen bulgulara göre; bilgilendirmenin niteliği, krizden etkilenenlerin duygu durumları, toplumun değerleri, kabullenme, tazminat ve sorumluluk konularının can kaybı ve yaralanmaların yaşandığı kriz durumlarında, paydaşlara iletilecek mesajların oluşturulmasında dikkat edilecek önemli hususlar olduğu belirlenmiştir. BENOIT, W. L. (1997), Image repair discourse and crisis communication. Public Relations Review, Vol. 23, Issue 2, pp. 177–186. 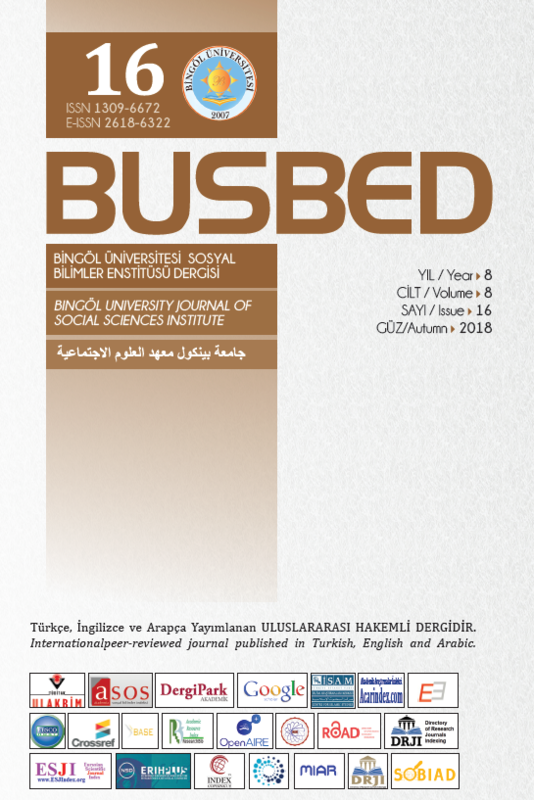 https://doi.org/10.1016/S0363-8111(97)90023-0 BERG, B. L., ve Lune, H. (2015), Sosyal bilimlerde nitel araştırma yöntemleri. Konya: Eğitim Yaynıevi. CANPOLAT, N., ve ŞAHİNER, N. (2017), An investıgatıon of samsung galaxy note 7 safety crisis based on image restoration theory of message strategies. The Turkish Online Journal Of Design, Art And Communication, Vol. 7, Issue 2, pp.213–225. https://doi.org/10.7456/10702100/006 COOMBS, W. T. (2007), Protecting Organization Reputations During a Crisis: The Development and Application of Situational Crisis Communication Theory. Corporate Reputation Review, Vol. 10, Issue 3, pp.163–176. https://doi.org/10.1057/palgrave.crr.1550049 COOMBS, W. T. (2009a), Conceptualizing Crisis Communication. Içinde Handbook of risk and crisis communication (ss. 99–118). New York, NY: Routledge. COOMBS, W. T. (2009b), Crisis, Crisis Communication, Reputation, and Rhetoric. Içinde Rhetorical and Critical Approaches to Public Relations. (ss. 237–253). Hoboken: Taylor ve Francis. COOMBS, W. T. (2010), Parameters for Crisis Communication. Içinde The handbook of crisis communication (ss. 17–53). Chichester, U.K. ; Malden, MA: Wiley-Blackwell. COOMBS, W. T. (2013), Situational Crisis Communication Theory. Içinde Encyclopedia of public relations (ss. 829–830). Thousand Oaks, California: SAGE Publications, Inc. COOMBS, W. T., ve HOLLADAY: J. (2008), Comparing apology to equivalent crisis response strategies: Clarifying apology’s role and value in crisis communication. Public Relations Review, Vol. 34, Issue 3, pp.252–257. https://doi.org/10.1016/j.pubrev.2008.04.001 ÇETİN, M., ve TOPRAK, Y. E. (2016), Kriz iletişimi ve sosyal medya: emisyon krizinde volkswagen’in facebook kullanımı. Selçuk Üniversitesi İletişim Fakültesi Akademik Dergisi, Vol. 9, Issue 3, https://doi.org/10.18094/si.51665 ÇINARLI, İ. (2014), Bir kriz iletişimi yönetimi vaka analizi: kaybolan malezya havayolları mh370 sefer sayılı uçağı. İletişim Kuram ve Araştırma Dergisi, Vol. 10, 3. FEARN-BANKS, K. (2007), Crisis communications: a casebook approach (3rd ed). Mahwah, N.J: Lawrence Erlbaum Associates, Inc. GOFFMAN, E. (1972), Relations in public: microstudies of the public order. New York, NY: Harper ve Row. HEARIT, K. M. (2006), Crisis management by apology: corporate responses to allegations of wrongdoing. Mahwah, N.J: Lawrence Erlbaum Associates. HEARIT, K. M., ve Brown, J. (2004), Merrill Lynch: corporate apologia and business fraud. Public Relations Review, Vol. 30, Issue 4, pp. 459–466. https://doi.org/10.1016/j.pubrev.2004.08.008 HEATH, R. L. (Ed. ), (2009), Handbook of risk and crisis communication. New York, NY: Routledge. KAĞITÇIBAŞI, Ç., ve CEMALCILAR, Z. (2014), Dünden bugüne insan ve insanlar: sosyal psikolojiye giriş. KRIPPENDORFF, K. (2004), Content analysis: an introduction to its methodology (2nd ed). Thousand Oaks, Calif: Sage. MILES, M. B. ve HUBERMAN, A. M. (1984), Qualitative Data Analysis (2nd Ed.). CA: SAGE Thousand Oaks. MYERS, C. (2016), Apology, sympathy, and empathy: The legal ramifications of admitting fault in U.S. public relations practice. Public Relations Review, Vol. 42, Issue 1, pp. 176–183. https://doi.org/10.1016/j.pubrev.2015.10.004 ÖZDEMİ̇R, B. P., ve YAMANOĞLU, M. A. (2010), Durumsal kriz iletişimi teorisinin Türk eczacılar birliği (teb) örnek olayı çerçevesinde incelenmesi. Selçuk Üniversitesi İletişim Fakültesi Akademik Dergisi, Vol. 6, Issue 3, pp. 123–136. https://doi.org/10.18094/si.77886 REGESTER, M., LARKİN, J., ve REGESTER, M. (2008), Risk issues and crisis management in public relations: a casebook of best practice (4th ed). London ; Philadelphia: Kogan Page. RUFF, P., ve AZİZ, K. (2003), Managing communications in a crisis. Burlington, Vt: Gower. SILVERMAN, D. (2001), Interpreting Qualitative Data: Methods for Analysing Talk, Text and Interaction. London: SAGE Publication. SOLMAZ, B. (2006), Halkla ilişkilerde proaktif ve reaktif stratejiler. İstanbul Üniversitesi İletişim Fakültesi Dergisi | Istanbul University Faculty of Communication Journal, 0(25). https://doi.org/10.17064/iüifhd.57446 STURGES, D. L. (1994), Communicating through Crisis: A Strategy for Organizational Survival. Management Communication Quarterly, Vol. 7, Issue 3, 297–316. https://doi.org/10.1177/0893318994007003004 TRAVERS, C. (1998), Handling the stress. Içinde Communicating out of a Crisis (ss. 143–159). London: Macmillan.